We are Open on Saturdays and Sundays for Your Convenience! Welcome to Dr. Lim Dentistry! Dr. Lim aims to provide treatment in gentlest way possible for. Her sense of patient pain awareness has cultivated over many years of practice allows her to modulate instrument press. As a result, her treatments are soft yet effective and many patients come back for that reason. With 23 years of experience and utilization of quality materials you can expect one of the best Gentle care treatment in region. Dr. Lim has been in practice for over 23 years serving the Washington Metropolitan Area. 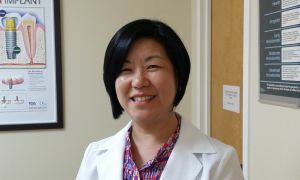 She believes successful outcomes and patient satisfaction is the result of accurate consultation and precise treatment. To achieve that success, she utilizes high-tech equipment, masters the latest treatment techniques, and implements high quality materials. In addition, thoroughly and comprehensively educating her patients are essential in order to maintain healthy teeth. 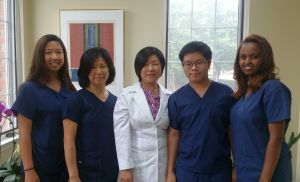 Make an appointment today to experience high quality gentle dental care provided by Dr. Lim and her proficient staff. For the Month of August we are running promotion to celebrate the launch of our website.